During this year's Geneva Auto Show Toyota revealed one of their ambitious concept cars, the Toyota FT-Bh Concept 2013 and by the looks of it, you don't need to be a rocket scientist to figure out that the Toyota FT-Bh is a concept that strives to achieve a high level of fuel efficiency and eco friendliness. Evidently the Toyota FT-Bh Concept is a hybrid car but interestingly enough the drive system is 90 kg lighter than the Hybrid Synergy Drive system found in the ongoing Prius. The Toyota FT-Bh Concept features a two-cylinder 1.0 liter Atkinson petrol engine and the entire package achieves an unmatchedfuel efficiency of 134.5 mpg and 49g/km CO2 emissions. However, the Toyota FT-Bh Concept manages to deliver such astonishing fuel efficiency at a cost. The main downside is that you don't need to stare at it for too long in order to realize that the car is not too pleasant to look at. Whilst the public was amazed by its specifications, they were very much disappointed by the car's exterior design. However, there's a reason for that. 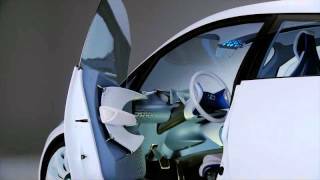 In order to achieve a fuel efficiency of 134.5 mpg the Toyota FT-Bh Concept has been built with aerodynamics in mind. Nevertheless the shape of the car isn't the only factor that led to its efficiency. Toyota engineers also focused greatly on thermal energy management, powertrain efficiency, weight reduction and electricity saving. As a result the Toyota FT-Bh Concept weighs only 1,763 pounds, roughly 200 pounds less than the Toyota Aygo despite the fact that the Toyota FT-Bh Concept is more spacious than a five-door Toyota Yaris. In other words, the Toyota FT-Bh Concept is more spacious than a Yaris, less heavy than an Aygo and much more fuel efficient than the Prius. To achieve these feats, amongst many other tweaks andcompromises, Toyota engineers had to cut the amount of electricity used by many electrical components by 50%. Nevertheless, the Toyota FT-Bh Concept is currently in its early stages of development and some changes are bound to happen before it gets into mass production. 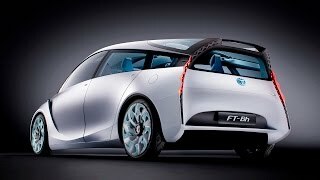 Evidently the Toyota FT-Bh Concept is nothing more than a display of unmatched fuel efficiency at this point, but by the time the final product hits the market the Toyota FT-Bh Concept might undergo some modifications in both design and fuel consumption. 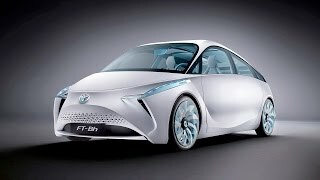 As for when will the final product be available for the general public, project manager Koki Makino stated that their intention is to launch the Toyota FT-Bh between years 2015 and 2020.